Did you know that your dental health is a mirror of your internal health? Yep, your smile says a lot about your insides. And it’s not just that, what you do to take care of your oral hygiene effects your overall health too. So it begs the question, why would you put something on your teeth (like fluoride), that you wouldn’t put inside your body?! It’s scary stuff when you really start to think about it. Now I’m no qualified dentist, but I have discovered a thing or two about a couple of amazing ways to help generate a pearly white smile – without any harmful chemicals going inside my body. This little gem not only whiten your teeth, deodorises your mouth, strips plaque and and releases bad oral bacteria, you can actually drink the stuff and even infuse it into non-toxic, natural bristle toothbrushes! We’ve been raised to believe that we need fluoride to clean our teeth, but now it’s being exposed! I’m not a fan of fluoride. Yes, you’ll find plenty of medically-funded spin about the benefits of fluoride, but if you do a little digging, you’ll also find piles and piles of info about the DANGERS of it. In my mind, why would you brush with fluoride when there are non-toxic, natural products out there now that do a better job? Jump out of bed, and start the day with a cold-pressed juice, OR a couple of times a week I’ll start with our Black Magic (refreshing, detoxifying juice that contains Activated Charcoal). Yep it’s a pretty crazy how versatile this stuff is. 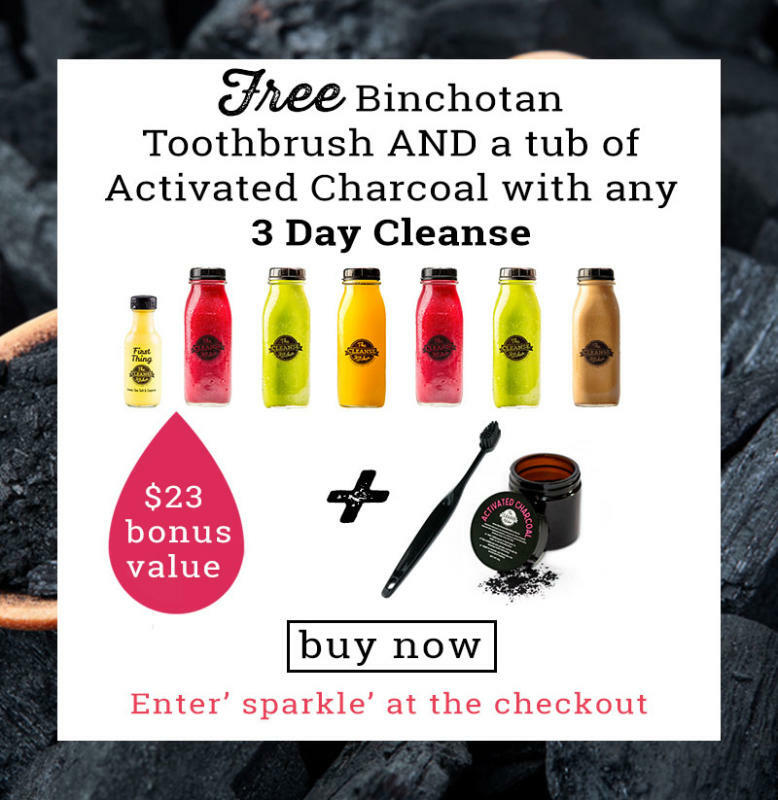 The secret’s out, I LOVE Activated Charcoal and I’d love for you to give it a try too! So what’s so great about Activated Charcoal? 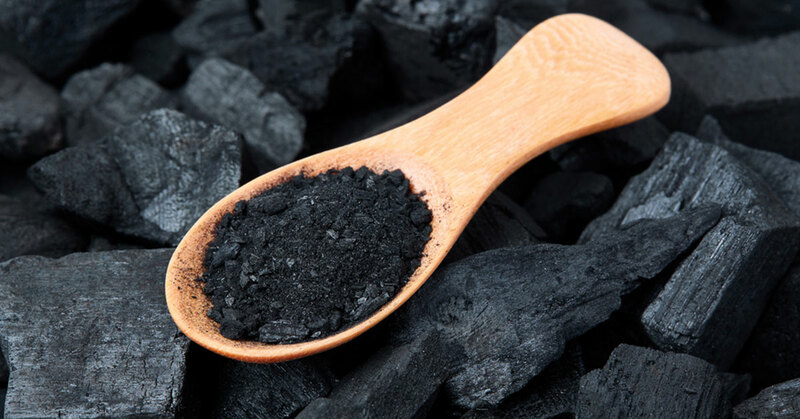 Activated Charcoal is negatively charged carbon that has been treated with oxygen. The effect is the creation of a magnet for positively charged toxins, absorbing “pesticides or nonorganic veggies, dioxins on fish from contaminated waters, and even neurotoxins from breathing in mould,” – Integrative Physician Jeffery Morrison. If charcoal is used to remove toxicity out of the body when it is poisoned, it can also be used to draw out smaller and less serious forms of waste as well. Seriously try it for yourself and when you see and feel the benefits, I think you’ll be hooked!